Lewine also performs and has recorded all styles of jazz from dixie to avant garde, blues, afropop, salsa, samba, as well as contemporary classical and flamenco-influenced music. He has recently embarked on an exploration of the Sephardic tradition, too. It all flows through his unique sensibility as a player and composer. Milt “the Judge” Hinton, whom Lewine first met in 1982, was a principal teacher and mentor. Leroy Vinnegar was also a great inspiration when they frequently crossed paths around Portland, OR in the early 90s. More recently, John Clayton has provided crucial input and learning. Lewine has received “green room” lessons and encouragement from the likes of Ray Brown, Harvie Swartz, Major Holley, Lynn Seaton and Bruce Gertz as well. Lewine has worked with many of the great names in jazz over the years, in all styles. He made numerous appearances with “alto madness” saxophonist Richie Cole. He has also performed with clarinetists Eddie Daniels and Kenny Davern, sax masters Joe Henderson, Clifford Jordan to Henry Threadgill, Jim Pepper and Vinnie Golia, vocalists such as Anita O'Day, Sheila Jordan and Mose Allison, pianists including Ronnie Matthews and George Cables, drummers Gus Johnson and Butch Miles, guitarists Barney Kessel and Herb Ellis, young turk Roy Hargrove, and old masters Sweets Edison, Stephane Grapelli and Carl Fontana and others. Once he played duets with Charlie Haden. Favorite bassists include the usual suspects - Milt Hinton, Jimmy Blanton, Ray Brown (”the killer groove”), Scott LaFaro, Charlie Haden, Ron Carter, Jaco Pastorius, and Dave Holland, a list by no means exhaustive. Charles Mingus, Krsyztof Pendercki, Duke Ellington, Frank Zappa, John Cage, Thelonious Monk, Joaquin Rodrigo, Iannis Xennakis, Tito Puente, Tomás Marco, Count Basie and Edgar Varese have been prime influences as band leaders and composers. His interest in all forms of musical and cultural expression has led Lewine also to study traditional Ghanaian (Ewe) percussion with Obo Addy, Balinese gamelan with I Nyoman Suadin (and Lewine performed (usually playing the mid-bass xylophone-like Jegogan) in Suadin's Gamelan Mitra Kusuma around the Washington DC area on and off from 1999 through 2007). He studied and recorded traditional delta blues with Johnny Never (the CD Never Home). Lewine also studied composition formally with William Wood. Alan Lewine dropped out and “retired” from full time musicianship in 1994, went to law school, and worked until 2016 as a transactional and policy attorney focusing on technology transactions, Wi-Fi and the Internet backbone, as well as eCommerce and copyright law, policy and licensing. Before recently relocating to Philly, he still composed and performed occasionally around DC, and since 2016 has become more active in Philly and around the world asa musiian and composer once again. Bassist/composer Alan Lewine, relocated to Philadelphia in 2007, where he has recently married and reopened Owlsong Productions with his wife, Spanish soprano Ana María Ruimonte. Alan Lewine has since produced and released several CDs for the Owlsong label available through owlsong.com and at www.mkt.com/owlsong as well as www.CDBaby.com/Owlsong and wherever streams and downloads are available online. Lewine and Ruimonte released two CDs in 2014: Ana María Díaz (a previous name of Ms. Ruimonte) - Arded, Corazon, Arded featuring Ana Maria singing Spanish baroque romanzas from the 17th Century, and Owlsong - Sampler with a variety of material, new, previously unreleased and rereleases of some samples of Alan's recordings from the 80s. In 2015, they released another classical project, Ana María Ruimonte: Alma y Vida de Mujer (The Soul and Life of a Woman) singing arias in several languages from opera, and zarzuela, as well as art songs, all spanning several centuries into the 21st. 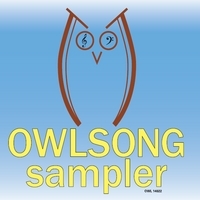 In late 2017, Owlsong released Ana María Ruimonte with Huberal Herrera: Rosas para Lecuona, a selection of songs and arias by Cuba's greatest composer, Ernesto Lecuona. This release, including both well-known compositions and rarities, recorded in Havana and mixed in Philadelphia, features the greatest living exponent of Lecuona's music, Huberal Herrera, who worked with Lecuona directly in Spain in the 1950s and who returned to Cuba after the revolution, where he is universally recognized as El Lecuonista, and receives regular airplay on Cuban radio and been the subject of television documentaries. Rosas para Lecuona has recently been receiving regular airplay in Cuba as well as received strong starred reviews in Spanish print magazines. All current CDs available at www.CDBaby.com/cd/Owlsong and www.mkt.com/owlsong. SOPRANO MEETS CONTRABASS Another great review from the Music Librarian of the Philadelphia Free Library: I just wanted to thank all of you for the amazing concert on Sunday. This was the first pop-up where, not only did we fill up all the seats we had out there, but we even exhausted the reserves I had hidden in the wings. And since people kept wanting to stay to listen, I had to call Buildings Department to bring up another cart of chairs mid-concert. That’s how much people wanted to stick around to hear you! Yes, excellent sound, excellent show. Thanks to all three of you. Op donderdag 11 december trad de Amerikaanse bassist Alan Lewine op. Lewine mag bij niet iedereen bekend zijn, maar hij speelde eerder met grote namen als Roy Hargrove, Joe Henderson en Anita O'Day. In Brebl gaf hij een uniek dubbelconcert dat niet alleen avontuurlijk, maar ook zeer contrastrijk was. Helaas was er maar weinig publiek in de zaal, waarop Lewine grapte: 'Altijd fijn om te zien dat er meer publiek is dan het aantal muzikanten op het podium'. Voor de pauze trad Lewine op met een trio dat momenteel door Europa toert onder de naam Soprano Meets Contrabass, met de Spaanse klassiek geschoolde zangeres Anna Maria Diaz en cajon- speler Victor Monge Barrios. Diaz, inmiddels getrouwd met Lewine, maakt in Spanje en de Verenigde Staten deel uit van verschillende operagezelschappen en werkte onder andere met Placido Domingo en Montserrat Caballé, Victor Monge Barrios behoort in Spanje tot de flamenco scene. Deze minimale bezetting bracht middeleeuwse Spaanse liederen met een mix van klassiek, jazz en Latijns- Amerikaanse muziek. Liederen over liefde, maar ook over het dagelijks leven in de middeleeuwen. Een bijzonder concert, waarbij Lewine zijn veelzijdigheid als bassist liet horen. All About Jazz musician pages are maintained by musicians, publicists and trusted members like you. Interested? Tell us why you would like to improve the Alan Lewine musician page.